At Satago, we offer an all-in-one cashflow solution designed to help businesses get paid faster, minimise bad debt and gain instant access to finance, enabling growth and expansion. Our innovative technology platform integrates directly with your accounting software, providing a transparent selective invoice finance facility. Customers can benefit from free credit control tools, free credit risk data and invoice finance rates as low as 1%. The platform offers all the benefits of factoring but allows you to stay in control of your credit control. Once a client is on-boarded to Satago Invoice Finance, we usually process finance requests the same day. "As a small business, we were very sceptical about using an invoice factoring company as we were fearful of hidden charges and other fees that you only find out about once you signed on the dotted line. However, Satago are not like that at all. They are a refreshing company to deal with and make invoice factoring easy and painless. You can ask them as many questions as you like challenge them as much as you like and they will always respond in a positive way. When it comes to invoice factoring, Satago are the partner to have in your corner …try them, you will not be disappointed." Q: What is the most memorable sample or gift you have received from a client? A: When we are at exhibitions, we like to give away products from our own clients. The most popular one is bottles of “Original Beetroot Ketchup”, made by a company called The Foraging Fox. We think this is much more interesting than giving away Satago-branded pens! Q. What company name have you encountered that is the most creative/off-the-wall? A:We often get asked what our own company name means. 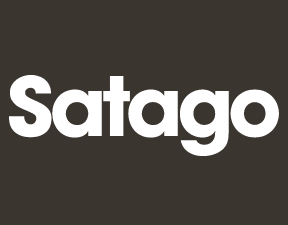 “Satago” is a Latin word, meaning “to pay or satisfy a creditor”, which is quite appropriate for us!